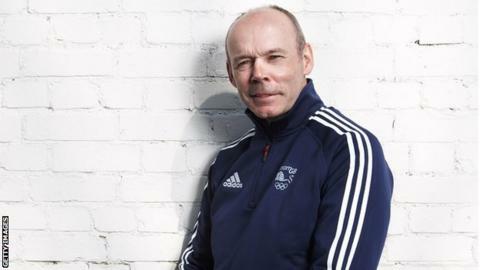 Former England head coach Sir Clive Woodward has warned current boss Stuart Lancaster that social media could derail his side's World Cup campaign. Woodward, who led England to victory at the 2003 tournament, described the risk of "one stupid tweet" to squad harmony as "the new enemy". Hosts England start their 2015 campaign against Fiji on 18 September. "If you allow one player to be distracted, it can all come tumbling down," said the 59-year-old. Speaking to the Radio Times, Woodward added: "We didn't have to worry about it in 2003. I've had the conversation with Stuart Lancaster. "Don't let the players be distracted. It could be the media, their family, sponsors, ticket requests, anything." Meanwhile, Rugby Football Union chief executive Ian Ritchie has refused to be drawn on what Lancaster needs to achieve at the World Cup to retain his job as England coach. "I'm not going to deal in hypotheticals," he said. "I think we should be going into every game trying to win it and I think that's what we'll try and do. "We are in here to try and win the event, we will worry about the hypotheticals afterwards. "Knowing the squad and the coaching set-up, they are all very focused on doing their very best to win and I think we have a chance of doing that." Listen to 'Woodward's World Cup' on BBC Radio 5 live on Wednesday, 9 September from 21:00 BST.